Watchfire works with an extensive network of experienced sign companies to help you with your purchase, and we recommend contacting your local Watchfire partner to research your zoning requirements and help you to obtain the proper permits. A Watchfire dealer partner can help you reach out to your local municipality to determine code requirements such as setback, square footage restrictions or rules that restrict how often your content can change. Understanding permits, variances and allowances can be difficult for a business owner, and mistakes can be costly. If you don’t have a relationship with a trusted sign company partner, we can recommend one for you so that your project can keep moving forward and you can focus on running your business. Once the rules have been determined, your sign company will work with you to help you obtain a zoning permit to begin construction. No two towns are alike in their approach to digital signage, so the process may vary. You may need to make a presentation to your local municipality or zoning commission if there are hesitations with your proposed LED sign. Other resources such as a light study or community survey and referendum may be required in rare cases. 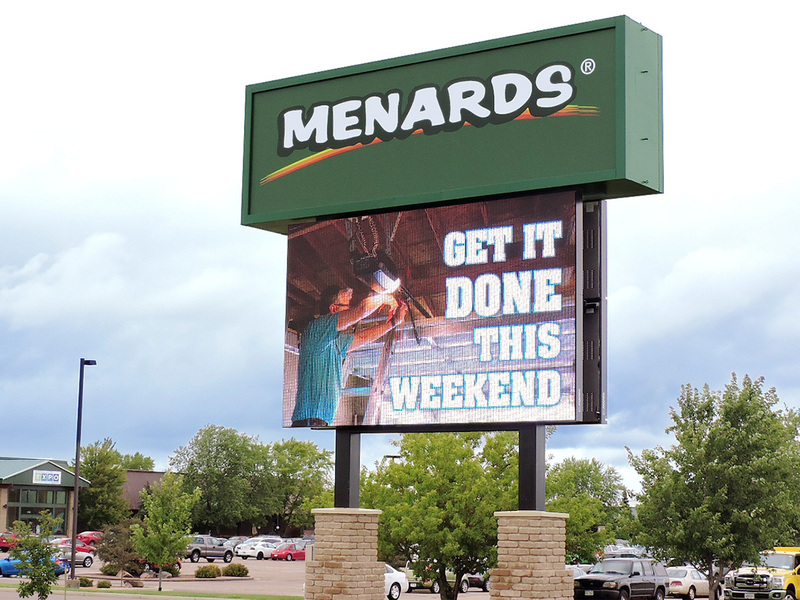 The main goal is to educate officials on the attributes and value of LED signs as advertising and how they can positively impact a community by generating sales tax revenue. Studies have proven that LED signs are safe, and do not distract drivers or increase accidents. For municipalities with concerns about brightness, it’s important to note that Watchfire LED signs are equipped with sensors that automatically determine the ambient illumination and adjust the sign’s brightness accordingly. Daytime brightness and content hold times can also be set by default at the factory to ensure that your sign will always be compliant with rules restricting brightness, content changes or the use of animation. When you are ready to begin the process of purchasing your new digital display from Watchfire Signs, remember to consult a professional for a smooth and lawful process. Watchfire outdoor on-premise signs are sold exclusively through our partners. If you would like us to connect you with an expert in your area, please click the button below.